Lynda is one of the most popular e-learning services. With access to more than 4,150 courses, you can learn software, business, design, creative skills and more. Being able to download Lynda videos might be extremely helpful if you need to spend time on commuting or you are giving a training seminar. So how you can download Lynda video courses for viewing offline? AllMyTube is a lightweight and comprehensive downloading tool that can easily download and convert Lynda videos to your computer. Providing you have an active Lynda subscription, this Lynda downloader can download Lynda videos or Lynda playlist. It can also convert the downloaded videos to many popular formats like MP4, MOV, WKV, AVI, MKV, and more. Download video from Lynda and other renowned video hosting sites of the world such as YouTube, Facebook, Vimeo and LiveLeak. Note: For this tutorial to work, you must have a registered Lynda.com account, otherwise the following will result in the introduction video being downloaded for every single video in the course. Install AllMyTube on your computer and then activate it. Now, play your desired Lynda video on browser, copy the link of the clip. Go forward to the program's interface and click "Paste URL" button to get the video. To download the whole Lynda playlist, you can just go to open Lynda playlist and copy the URL. You can see the downloading status of a video once it has been added to download list. After downloading, you can get your Lynda videos in "Finished" library. After downloading, you can switch to "Finished" tab to see all the downloaded video. 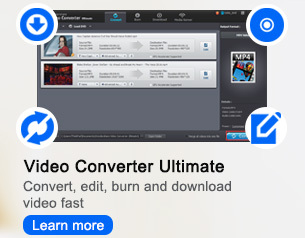 Here, you can click the "Convert" button at the right side of every video and convert the video to any format you like. To extract the audio from the video, you can click the Audio category and choose MP3 as the output format. In this way, you can listen to the course on your mobile device. In closing, AllMyTube is an easy-to-use application that provide you simple and fast way for downloading videos from Lynda. Other than this, AllMyTube allows you to download videos from LiveLeak, Facebook and of course, YouTube. Download this program on your computer and capture online video freely.